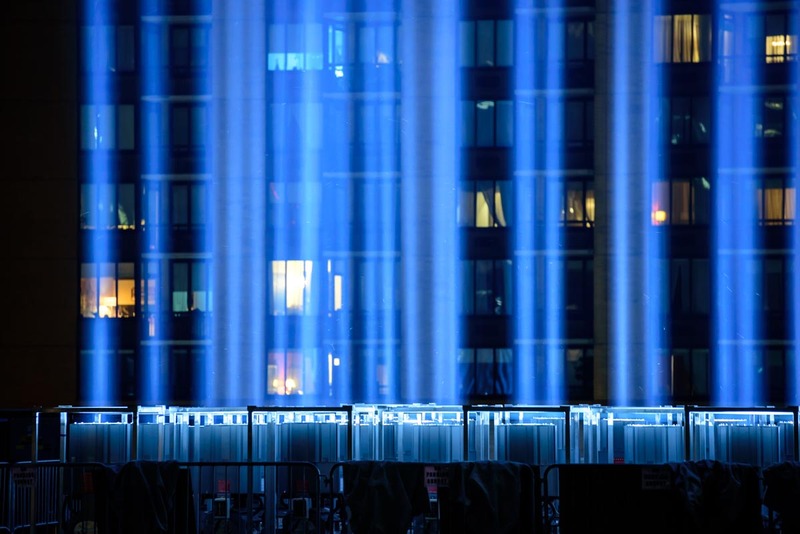 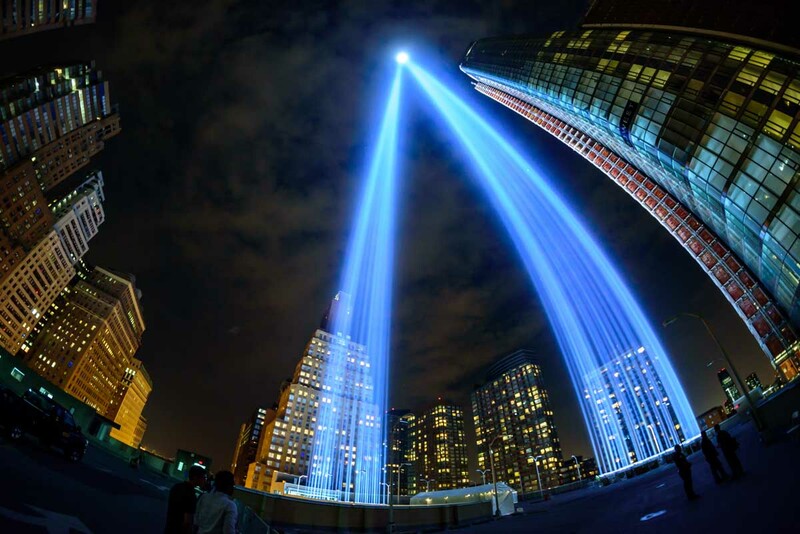 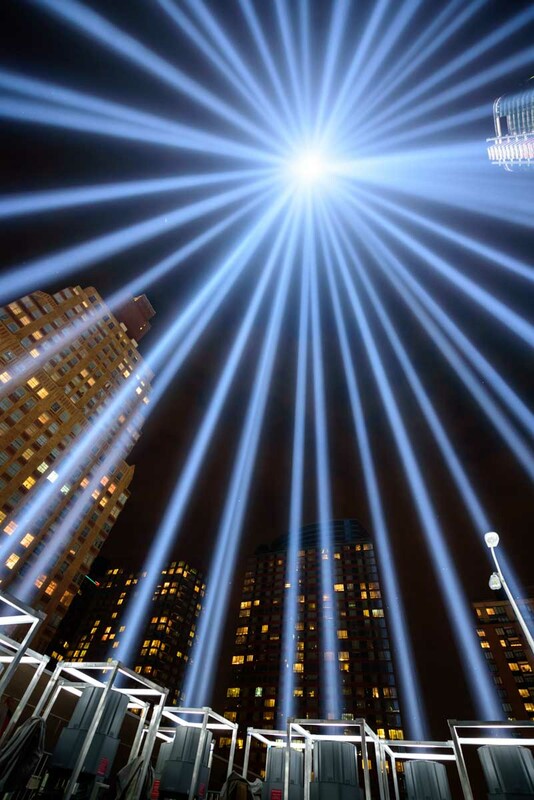 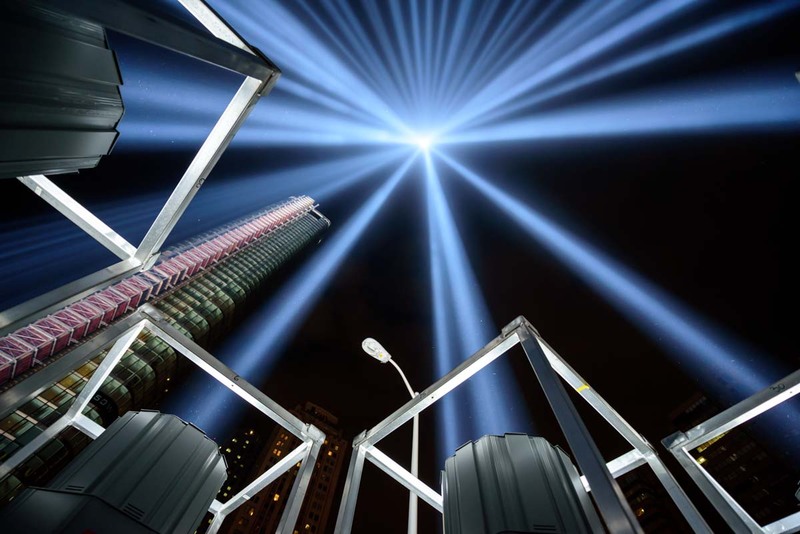 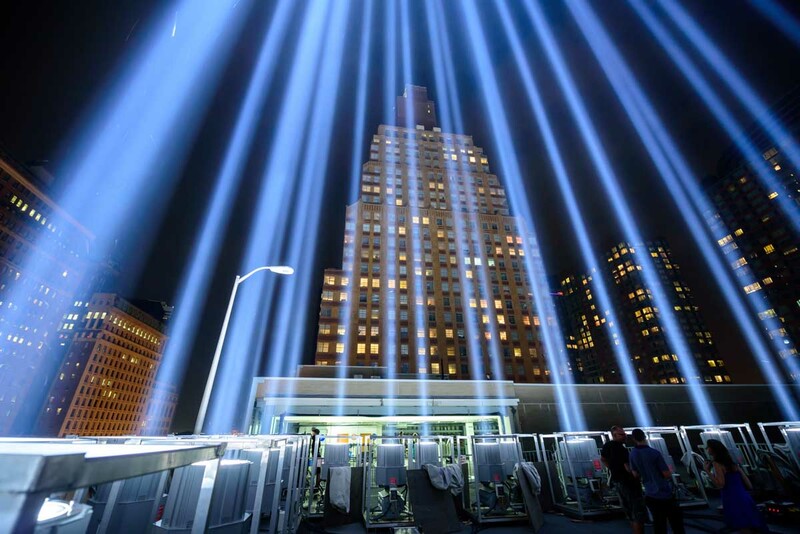 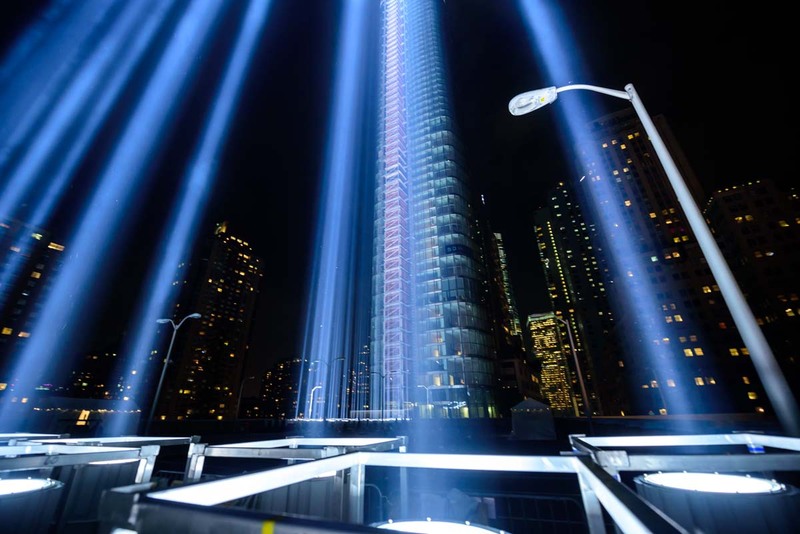 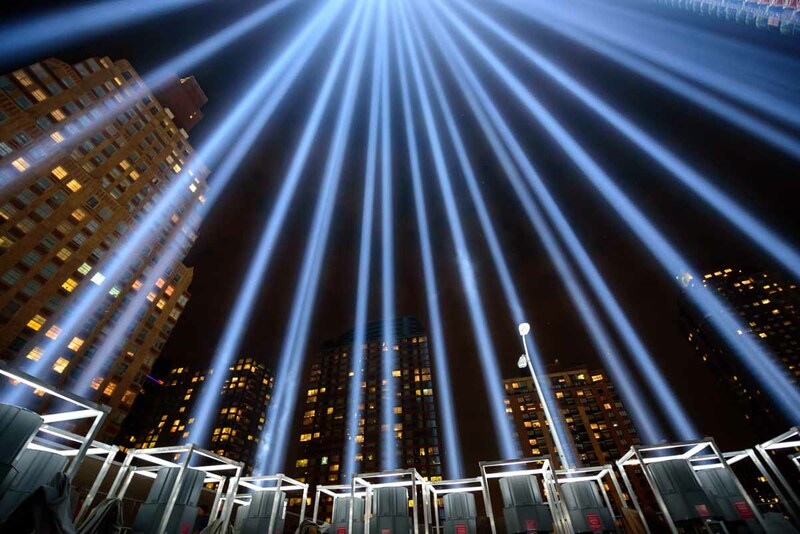 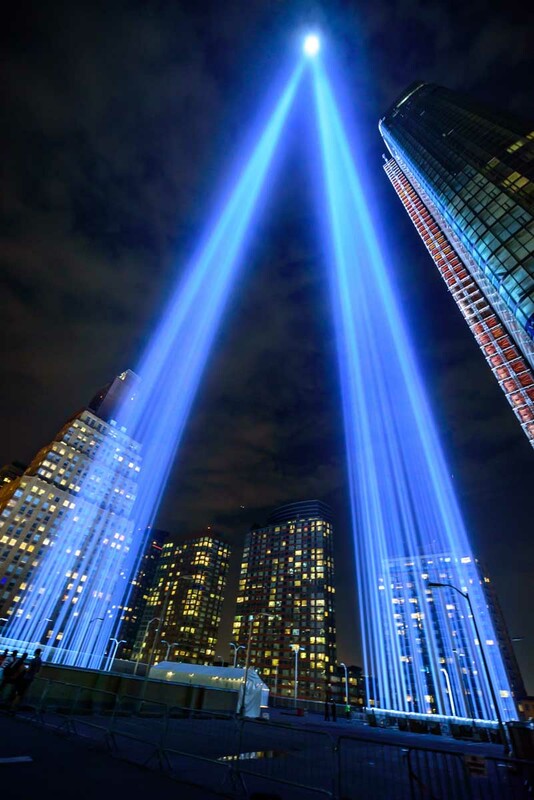 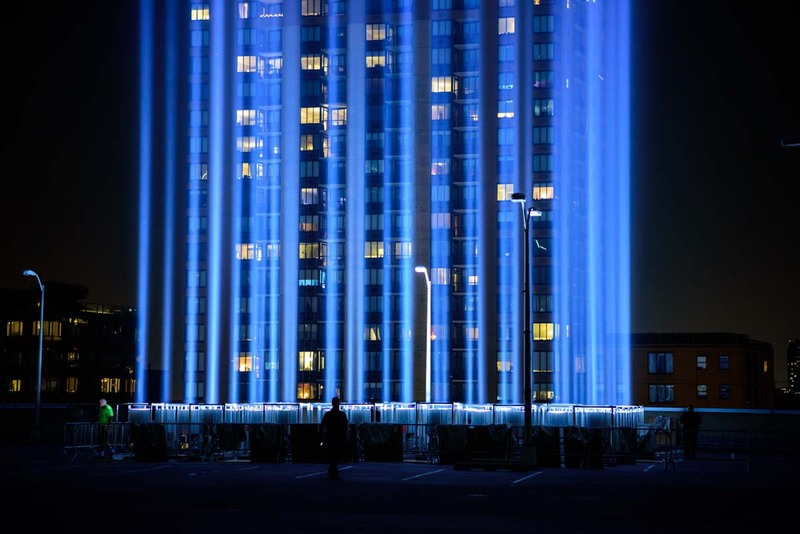 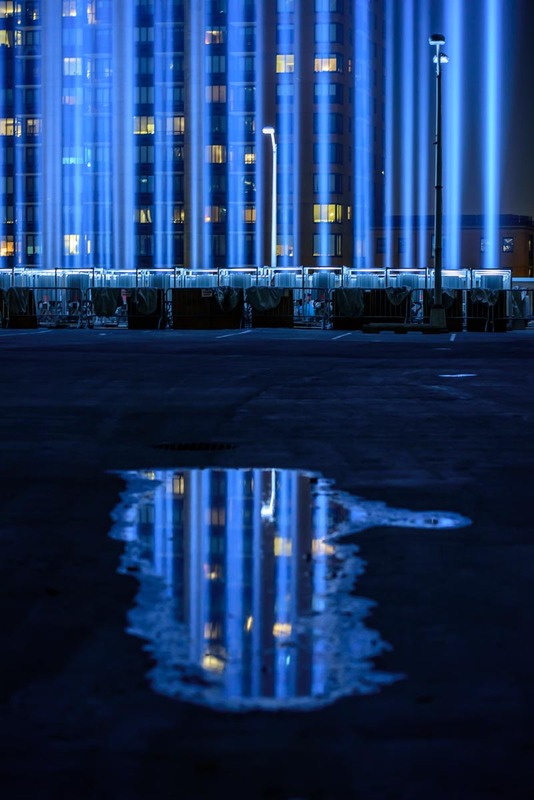 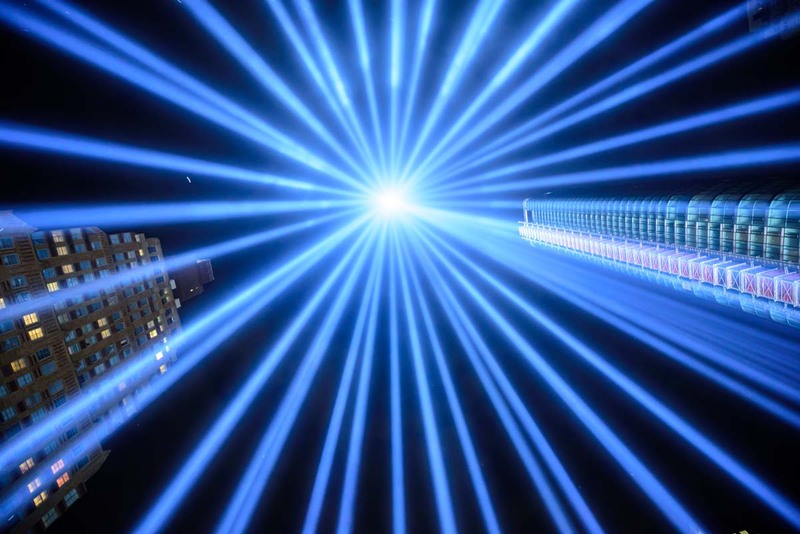 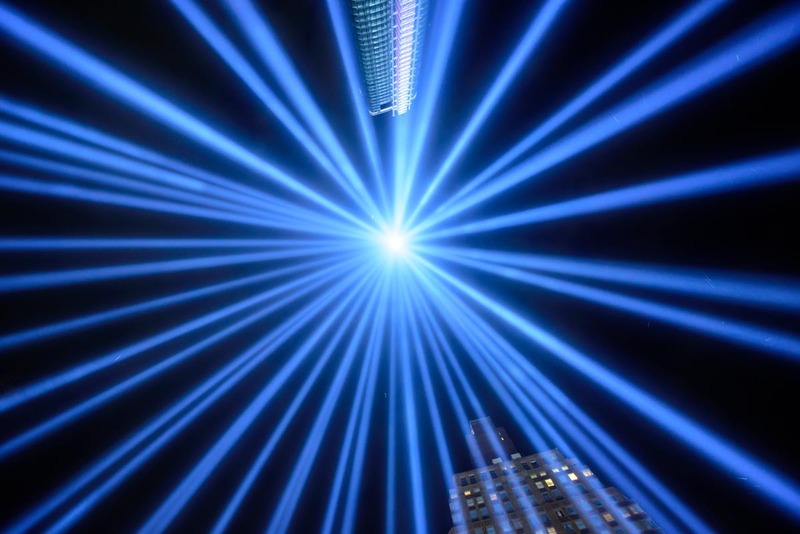 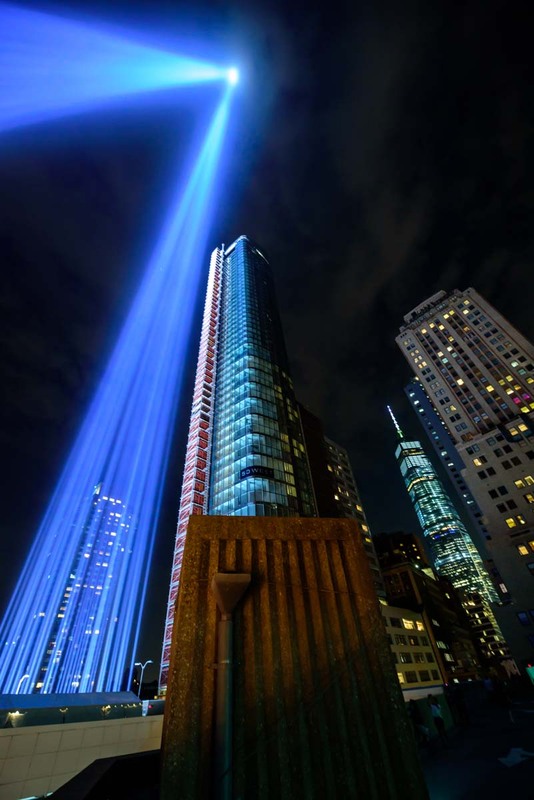 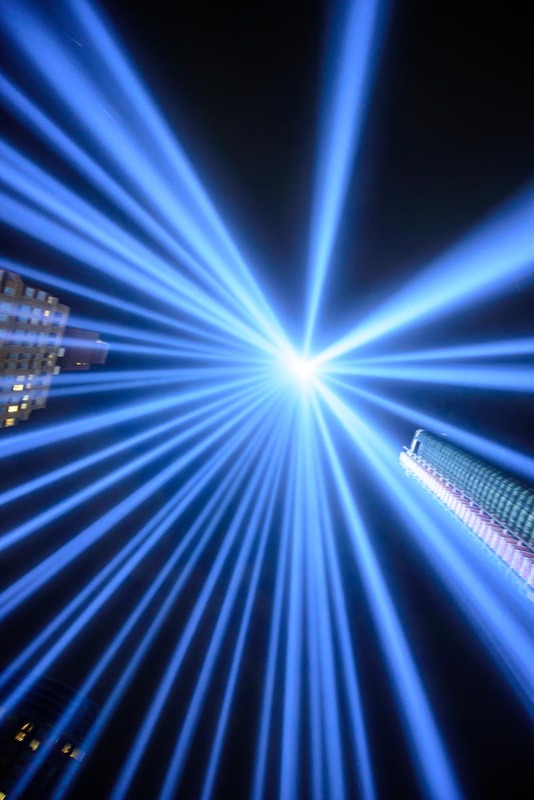 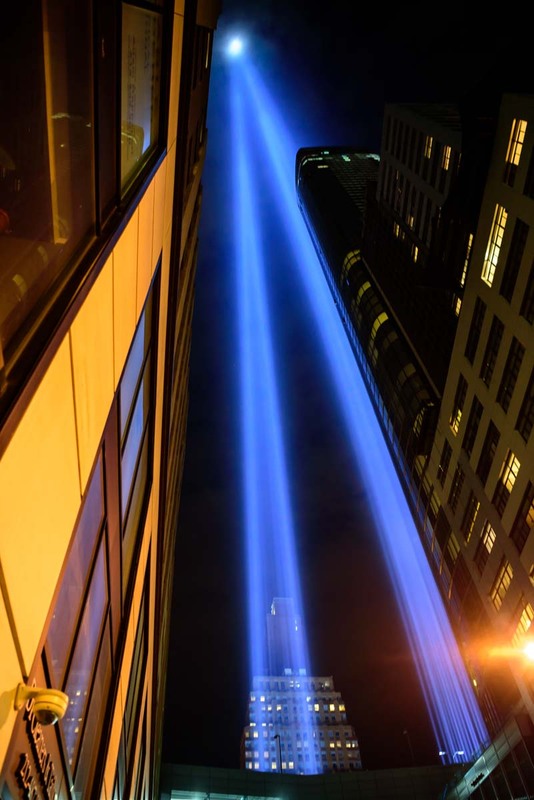 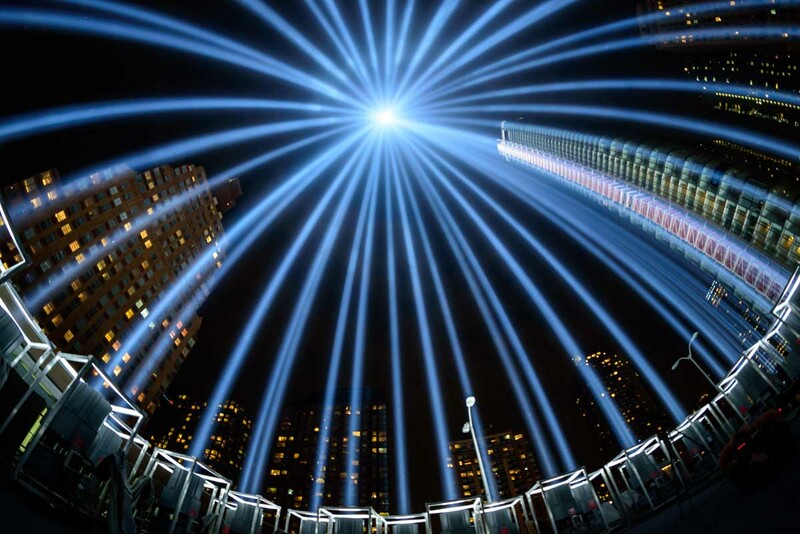 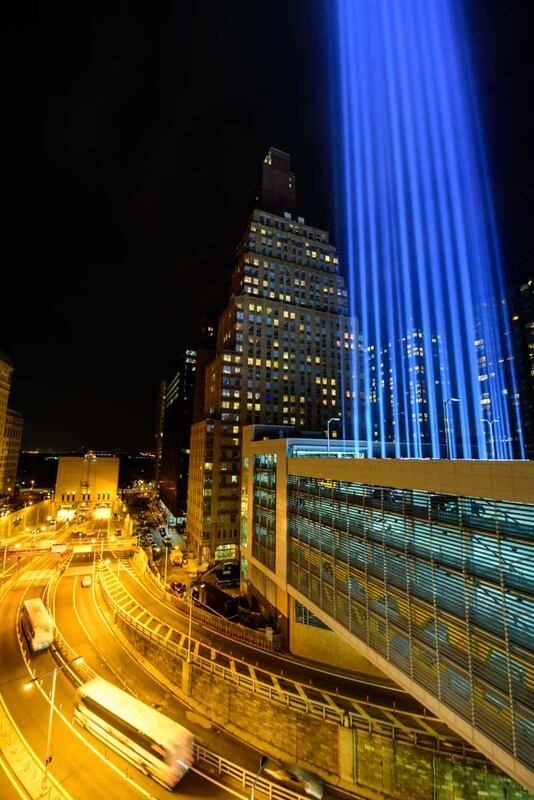 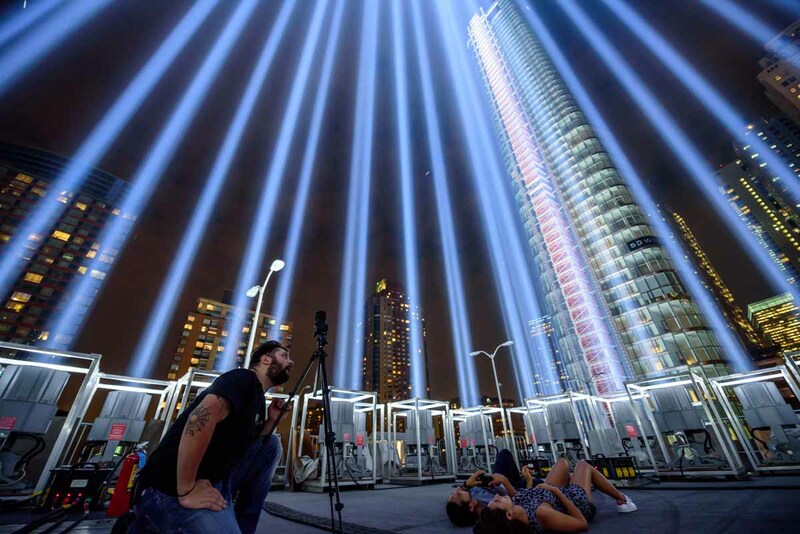 FINANCIAL DISTRICT, Manhattan (WABC) -- The "Tribute in Light" will shine once again as a memorial to the victims in the terror attacks on September 11, 2001. 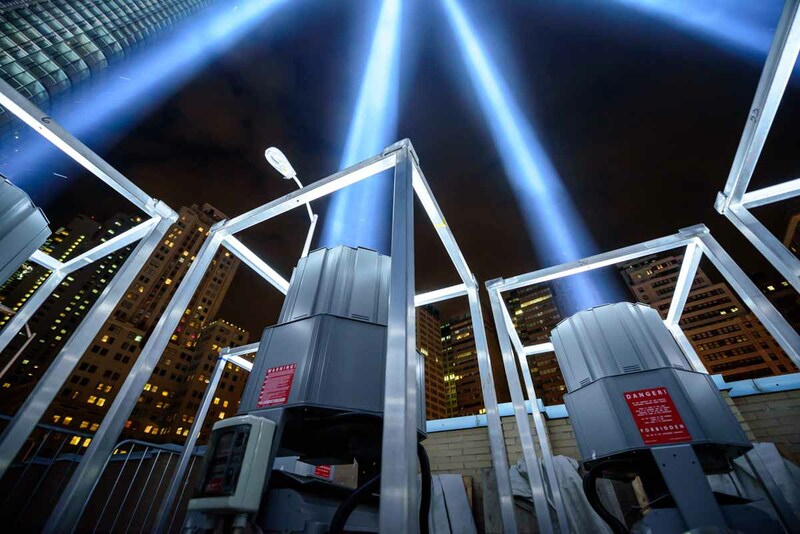 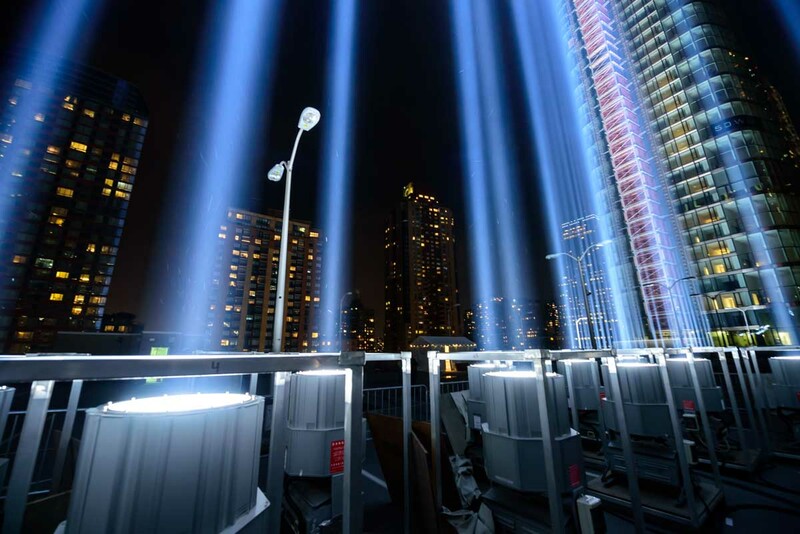 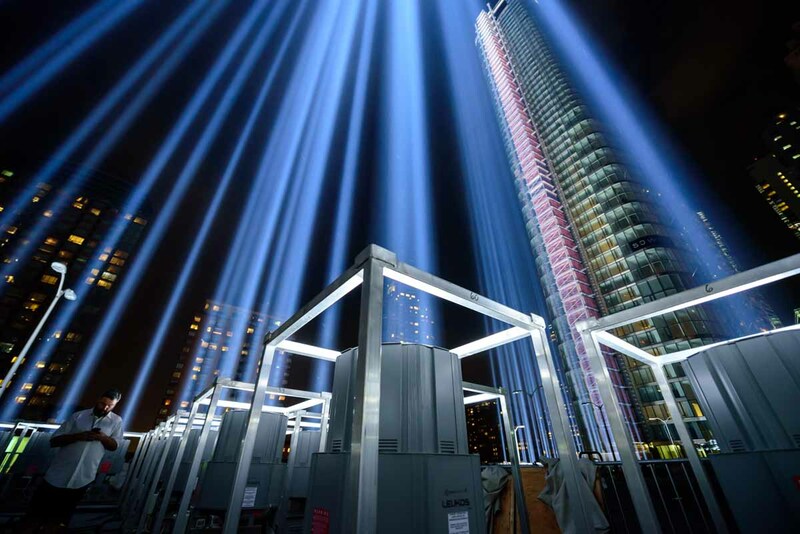 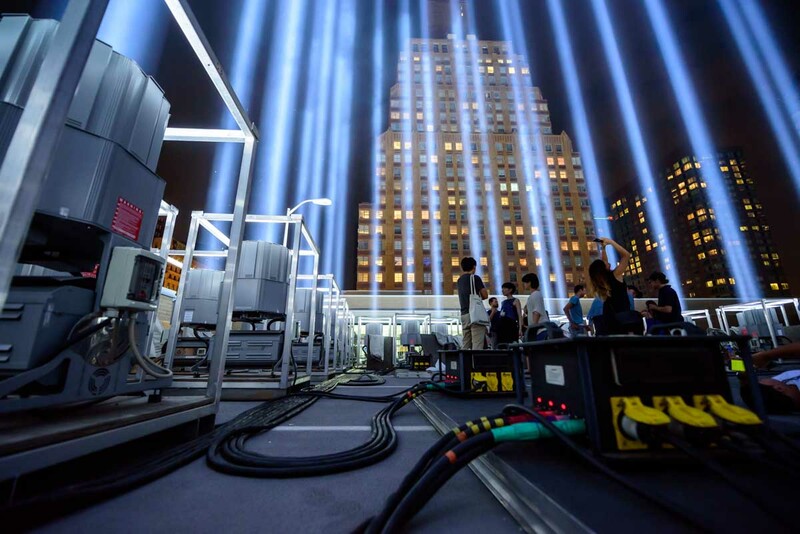 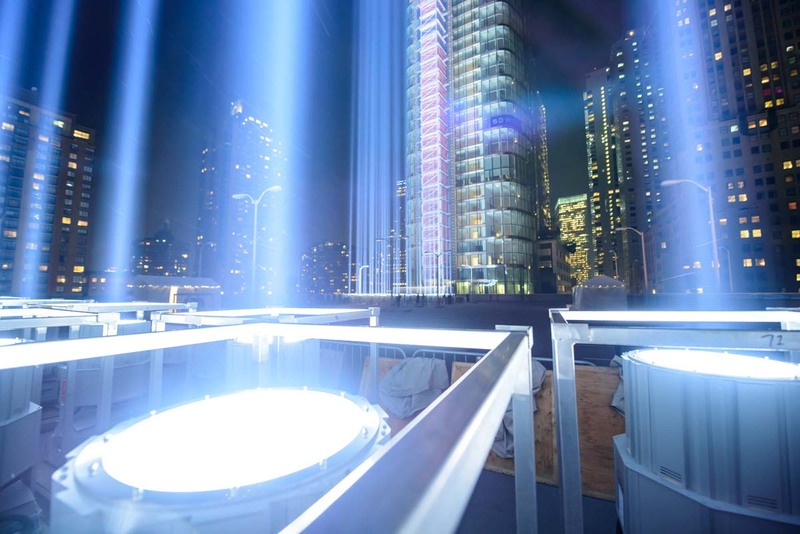 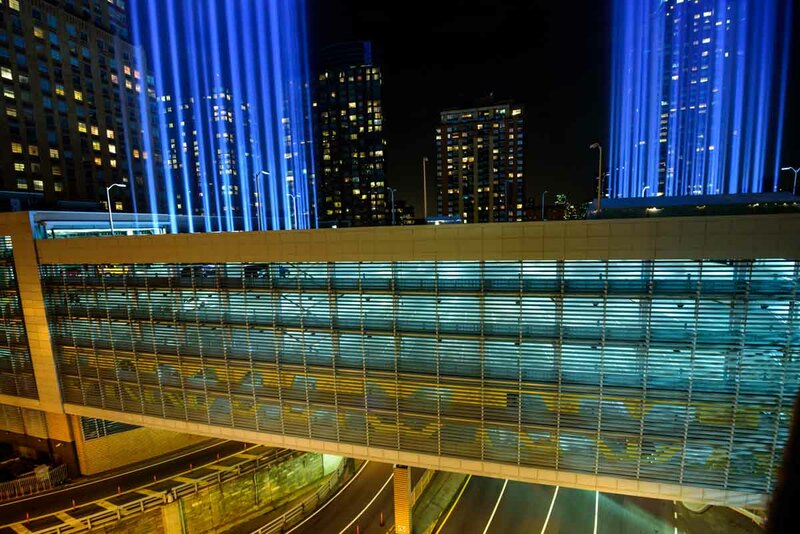 The display consists of 88 7,000-watt lights that are set up on the roof of a parking garage near the Battery Park Tunnel -- just blocks from where the World Trade Center's Twin Towers once stood. 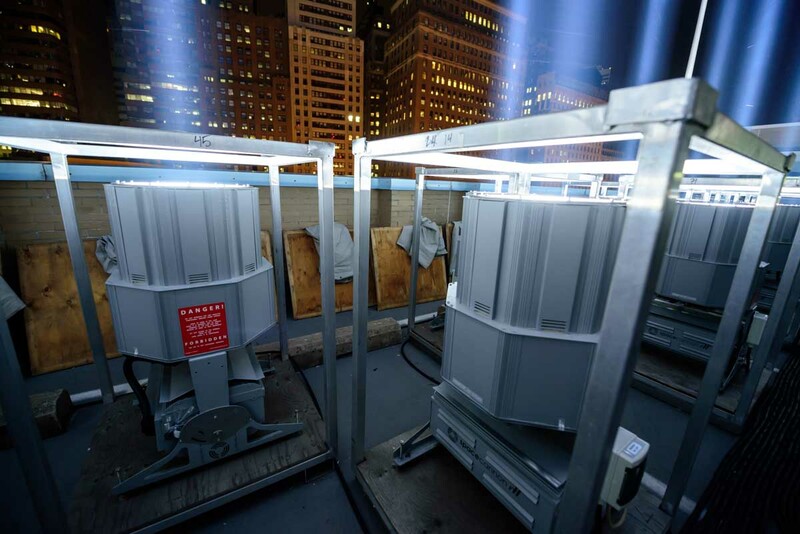 Eyewitness News got close-up access to the lights in 2017, and we were able to bring them to you in the photos above.